Gunny G: ~ J. B. Williams: Will We REALLY Drain The Swamp…? ~BLOGGIN’ BAD! | GUNNY.G: COCKED AND LOCKED ~ ONCE A BLOGGER ALWAYS A BLOGGER ! Gunny G: ~ J. B. Williams: Will We REALLY Drain The Swamp…? ~BLOGGIN’ BAD! 1. The Article II natural born Citizen clause must be enforced and violators must be investigated and prosecuted. Evidence now proves that the entire Obama Administration was based upon fraud. That fraud, left standing, makes it impossible to protect the Oval Office from foreign invasion and occupation. We cannot drain the swamp so long as this remains the case. Barack Hussein Obama and his fellow criminals must be held fully accountable for that fraud, or the Oval Office is unprotected. (SEE P-I andP-II on NBC) – Congress must immediately open this investigation! Gunny G ~ Bloggin” BAD! 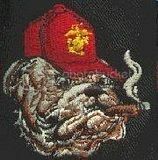 Gunny G: ~ “The Danger To America Is Not Barack Obama But The Fools Who Elected Him” ~ Bloggin’ BAD!